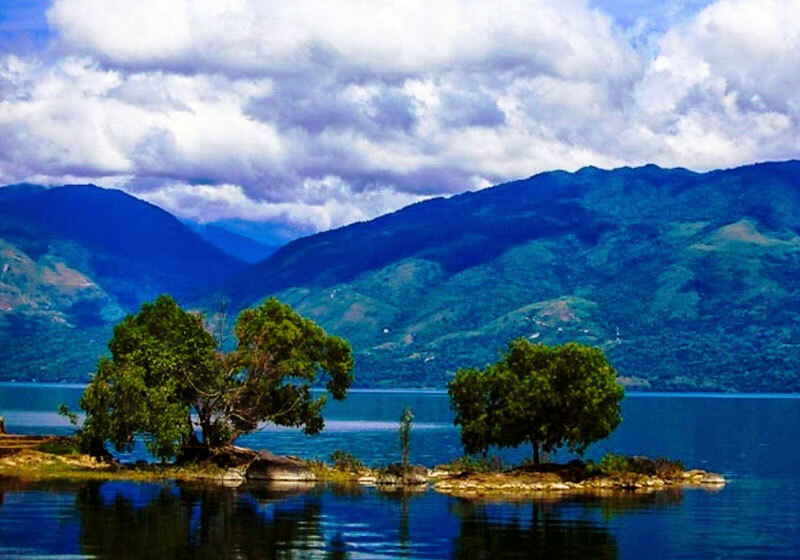 Singkarak Lake is located between the cities of Padang Panjang and Solok. It has an area of 107.8 km², being approximately 21 km long and 7 km wide. The majestic Lake Singkarak is an enormous crater lake set within a dramatic volcanic landscape. It said that this lake is the widest lake in Sumatra and the second biggest lake on the island, after Lake Toba. A world of silent calm, breathtaking vistas and spectacular views awaits here. Here you can embrace the remote natural beauty that Indonesia is so famous for. Moreover, Lake Singkarak is also famous for its Bilih fish which is a species of fish that only lives in this lake. This fish is especially unique as it cannot survive anywhere but Lake Singkarak, not even in an aquarium. Short Description: Lake Singkarak is a lake in West Sumatra, Indonesia. It is located between the cities of Padang Panjang and Solok. It has an area of 107.8 km², being approximately 21 km long and 7 km wide.